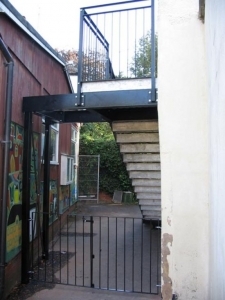 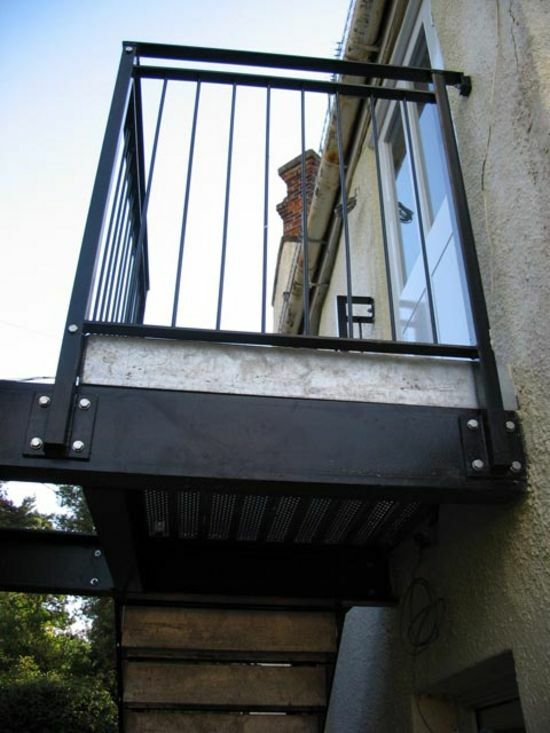 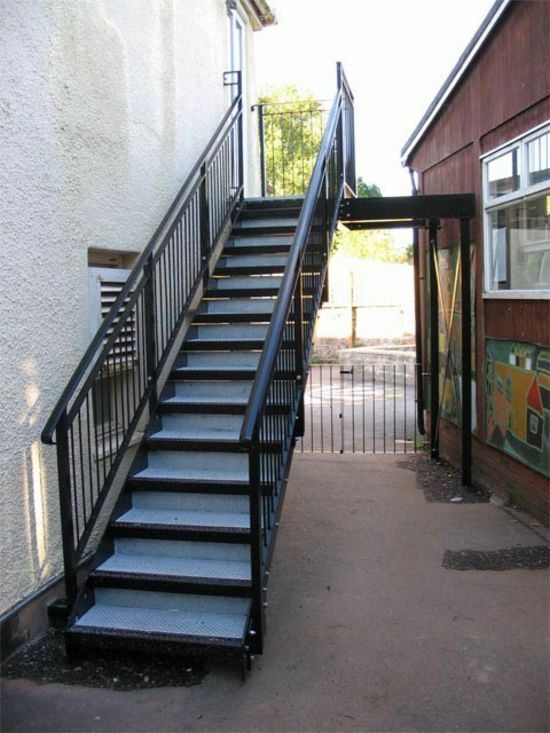 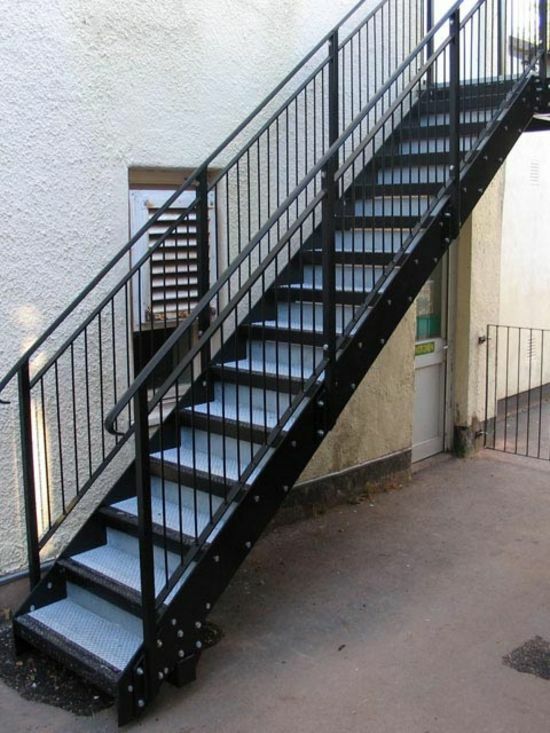 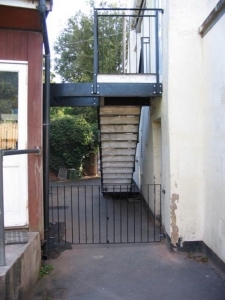 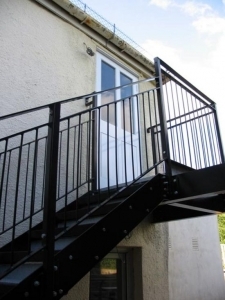 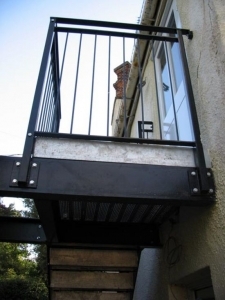 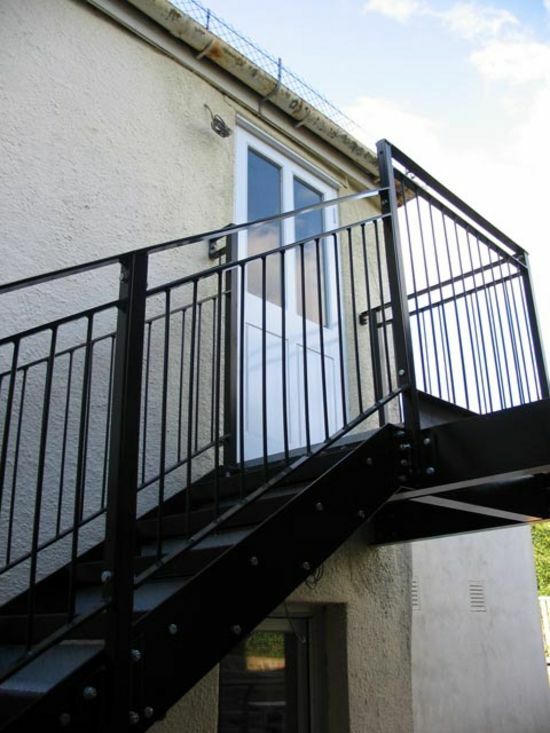 The staircase was manufactured using a more unusual cantilever design as the property has a water culvert running under the path, the design uses the bottom of the wall to support the lower stair so the weight is not bearing on the surface above the culvert. 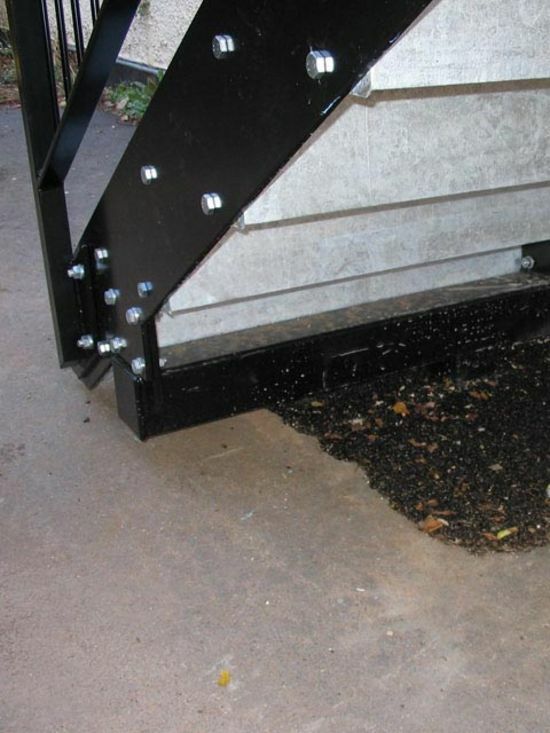 Pad stones were put in place to the outside of the culvert to support the two legs and the opposite ends were bricked into the wall. 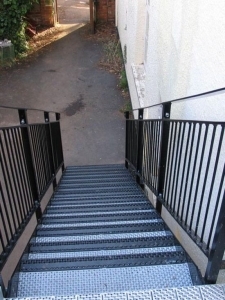 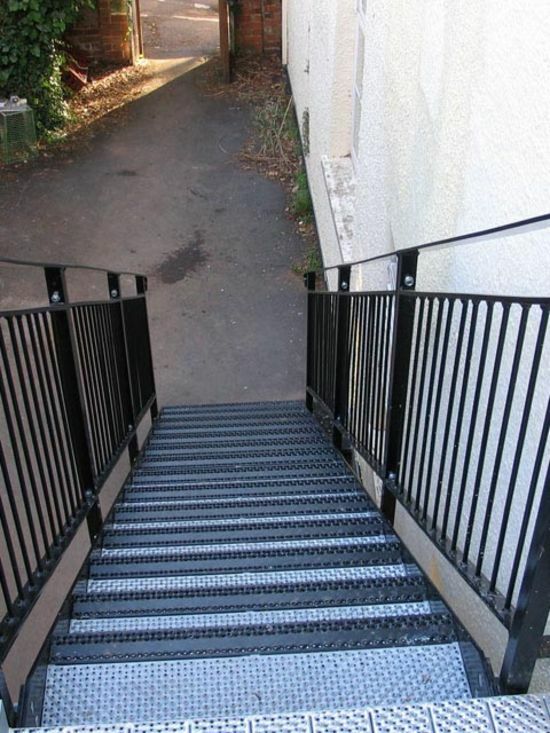 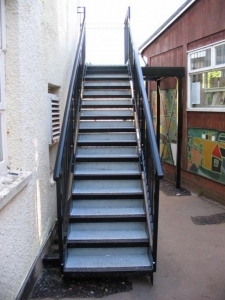 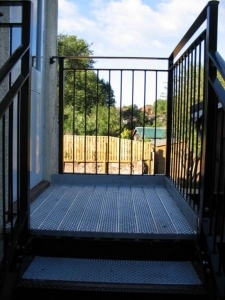 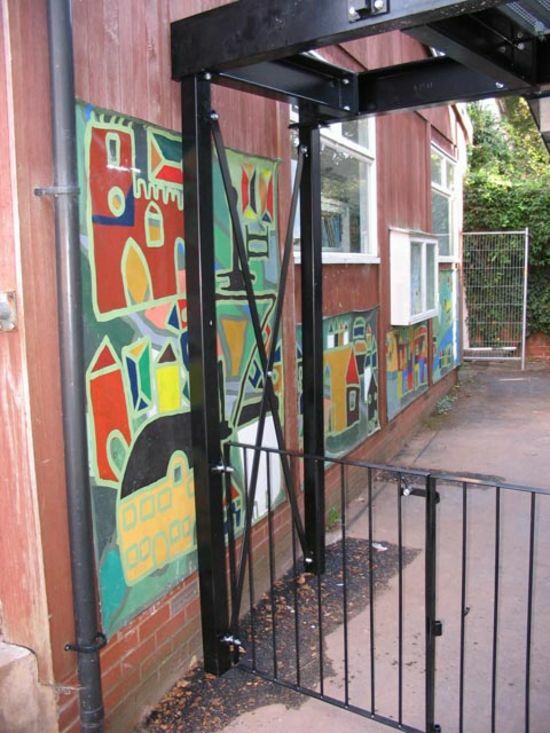 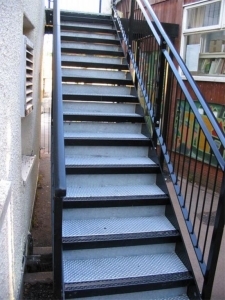 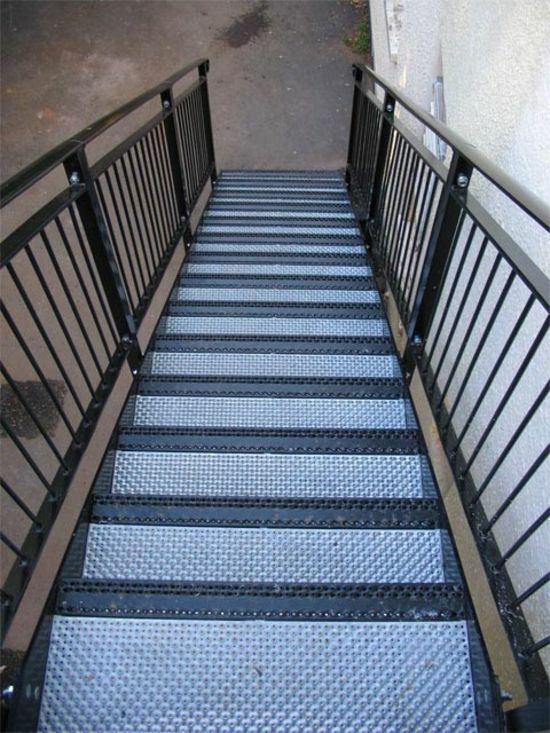 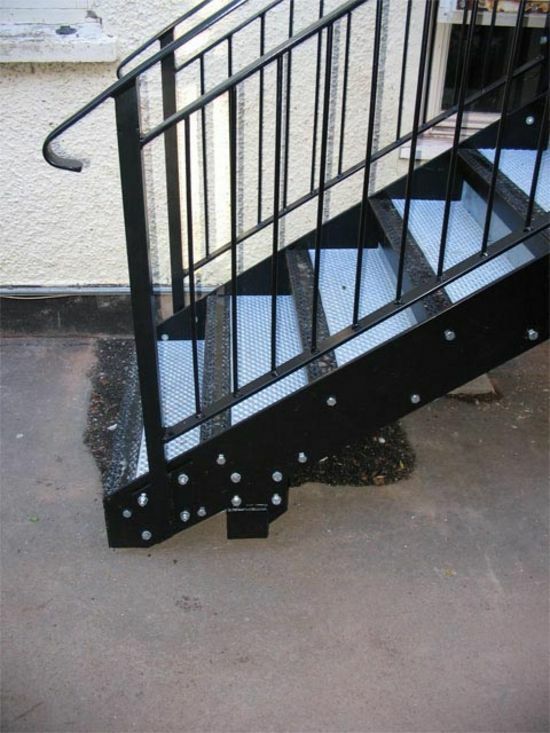 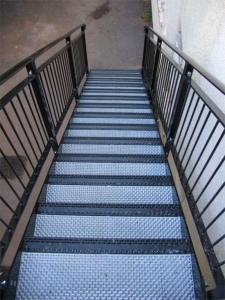 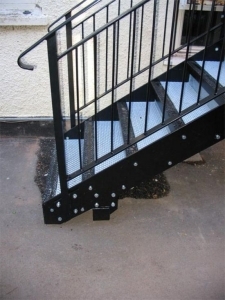 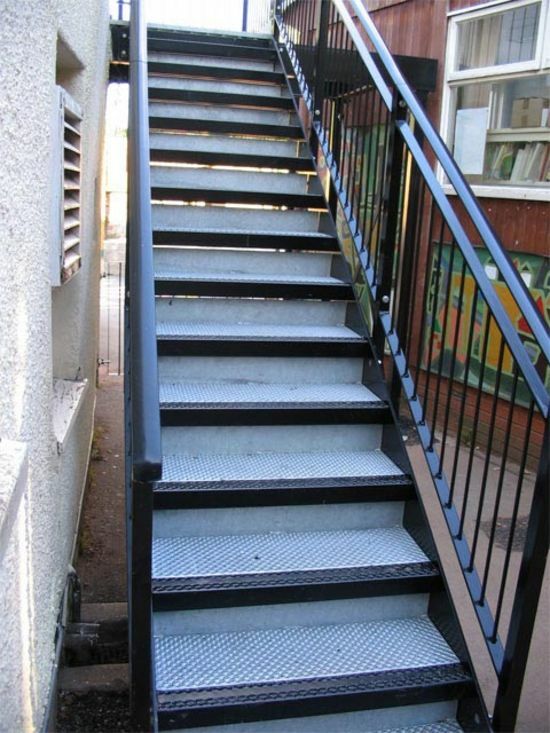 The stair treads are two different colours so that people with sight impairment are able to see where each step begins.